Cashmere woods are wrapped in tobacco leaves, black amber and a soft suede accord. Enveloping, rich and luxe, this scent is a warm, woody fragrance. The smoothness of blonde wood is wrapped in touches of tobacco leaves, black amber and a soft suede accord. 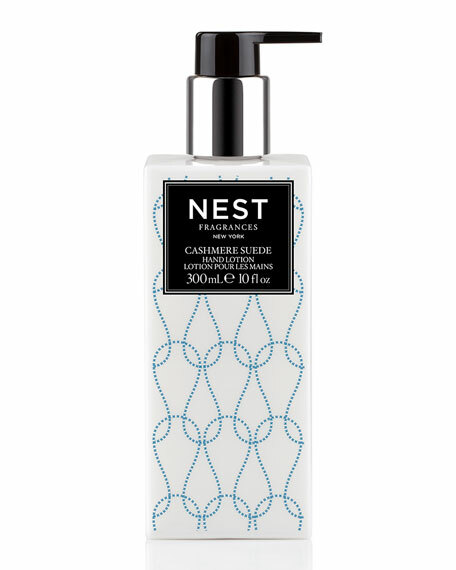 Bergamot and fig impart a slight nuance of freshness to the signature woody notes of this fragrance. This fast-absorbing hand lotion contains natural botanicals, antioxidants and plant extracts to help protect and condition skin while leaving hands feeling soft, hydrated and enveloped in a light, uplifting fragrance. 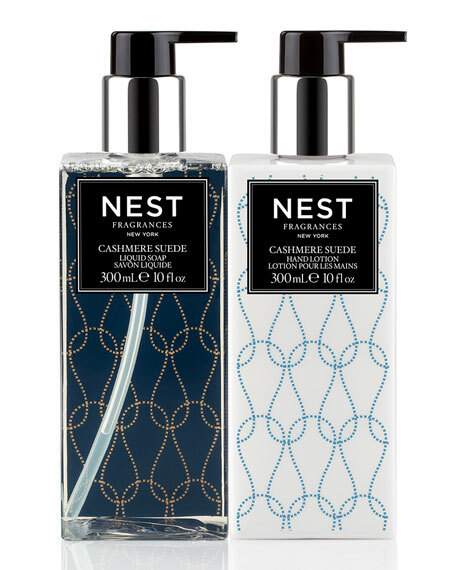 Elegantly presented in a custom-made, decorative container, we recommend you pair this hand lotion with its coordinating Cashmere Suede Liquid Soap from NEST Fragrances. For in-store inquiries, use sku #1973304.